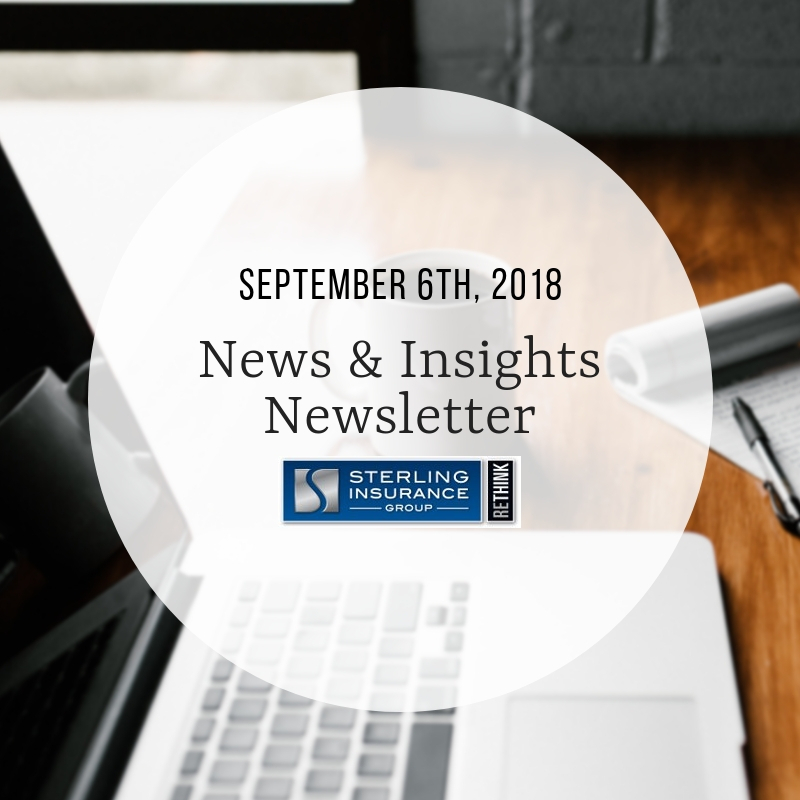 This newsletter was sent to Sterling Insurance Group clients and friends on Thursday, September 6, 2018. Want to get this bi-weekly newsletter in your inbox? Email Joan Giffels (jgiffels@sterlingagency.com) today to be added to our mail list. Thank you to everyone who voted to help make Sterling Insurance Group the WINNER of the Safeco Change Agent Award for Fighting Hunger! Sterling Insurance Group is proud to announce it has won the social media advocacy competition hosted by Safeco, and with it, earned $2,000 for Gleaners Community Food Bank. Thank you to all who voted and made this award possible for Sterling! The agency was 1 of 10 finalists in the competition, and 1 of only 2 agencies in the Midwest region. On Friday, August 24 – Safeco announced that Sterling Insurance Group had won the Safeco Change Agent Fighting Hunger Award. 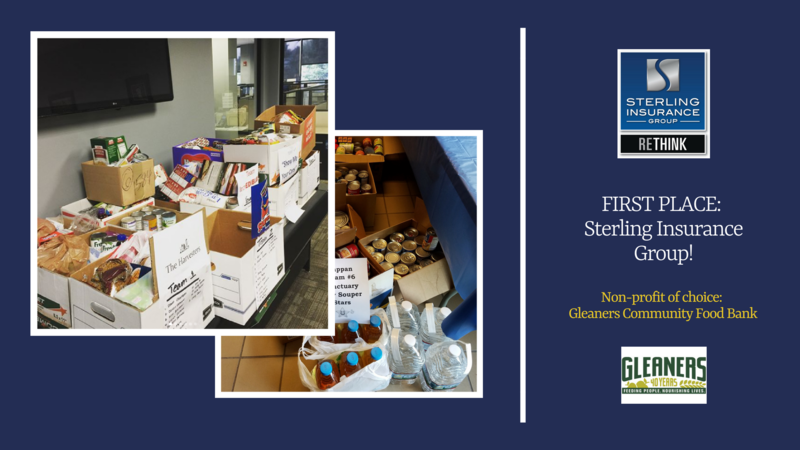 “We could not be prouder of our team for the work they did to win this prize for Gleaners – an organization very dear to our hearts,” said Joe Haney, President of Sterling Insurance Group. It’s hard to think of a more deserving organization that fights hunger in Southeast Michigan every day,” said Haney. Thanks to the Michigan Society For Human Resource Management (SHRM), the Troy Chamber of Commerce, the GM RENCEN and Automation Alley for all sharing our good news regarding the Safeco Change Agent Award. 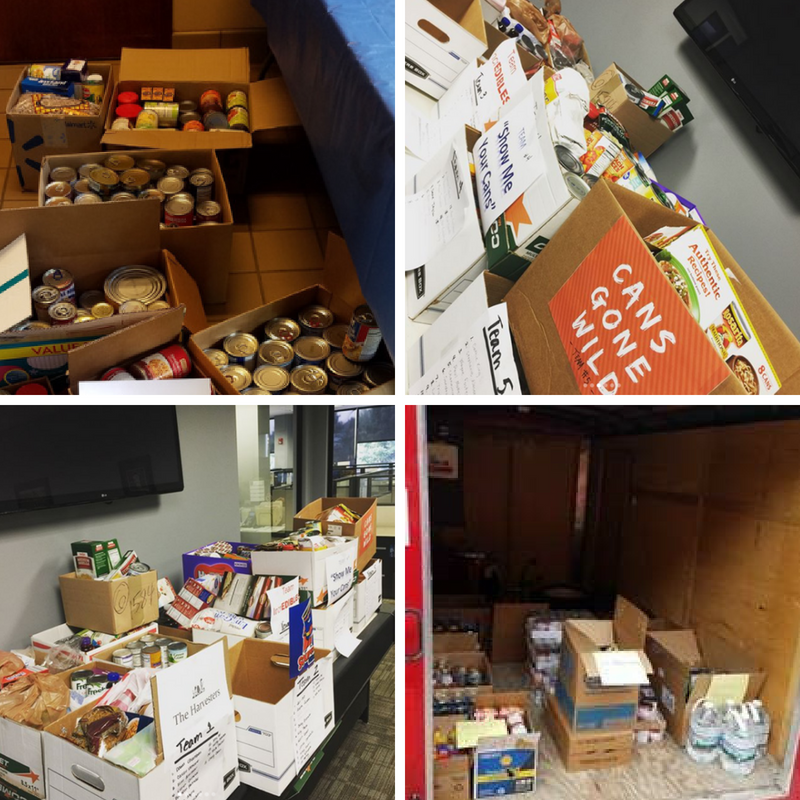 We’re honored to help Gleaners Community Food Bank in a big way like this! Did you see? Sterling Insurance Group was featured as the Partner Spotlight in MISHRM’s weekly newsletter this week. View the newsletter: Click here. We’re proud to be a Resource Partner at a great organization like MISHRM! In the Community: Last week, Sterling Insurance Group was a sponsor of the GM Renaissance Center’s Annual Health and Safety week. More than 150 people stopped by the Sterling table at the expo on August 29th. We had a blast! For photos, click here. Save the date! The Michigan Boating Industries Association is hosting its Annual Recreational Boating Educational Conference December 5-6. Sterling Insurance Group is sponsoring the lunch on Dec. 5th – Will we see you there? Learn more or register: click here. Did you have a great experience with Sterling Insurance Group recently? Share your honest feedback with us on our Review page! Award Announcement: Sterling Insurance Group is proud to be named the first-ever MAX Performing Agency by MarshBerry recently. “Partnership is a pretty wide-open way of talking about how a business engages with its clients. What does partnership really mean? At Sterling Insurance Group, it’s more than calling a customer to check in or delivering the services promised.” -Marshberry. Read more about this award by clicking here. In the Community: Sterling Insurance Group’s Corporate Producer and Certified Risk Architect, Andrew Turnbull, will lead the Sterling Heights Regional Chamber of Commerce’s non-profit group meeting on September 11, 2018. As a non-profit Insurance expert, he’ll cover the importance of Directors & Officers Liability Insurance, and how it pertains to non-profits. Learn more about the group: Click here. See you next week, on September 11! We’re hiring: Sterling Insurance Group is actively looking to hire Business Insurance Sales Producers, Customer Service Representatives and Account Managers. Check our Facebook page and Careers page on our website to see if you’re a good fit! An FYI: Participants of Sterling Insurance Group’s Just Keep Talking referral program can win big! Did you have a great experience with us recently? Refer a friend our way for your chance to win anything from a gift card to an iPad! Click here to refer a friend or family member. Want compliance bulletins sent to you directly in real-time? Email Joan Giffels today to join our Compliance Update distribution list: jgiffels@sterlingagency.com.